Earn some swag and spread positive vibes! Join us in celebrating the down right awesome people at Sheridan. Whether its a friend, colleague or even a stranger, submit your #SheridanShoutOut and build a community that empowers and motivates one another. No achievement is ever too small to celebrate. Your Awareness Coordinator at Davis, Navnit, will be at the SC-wing to show appreciation by giving out some swag! Swag will be distributed while supplies last. 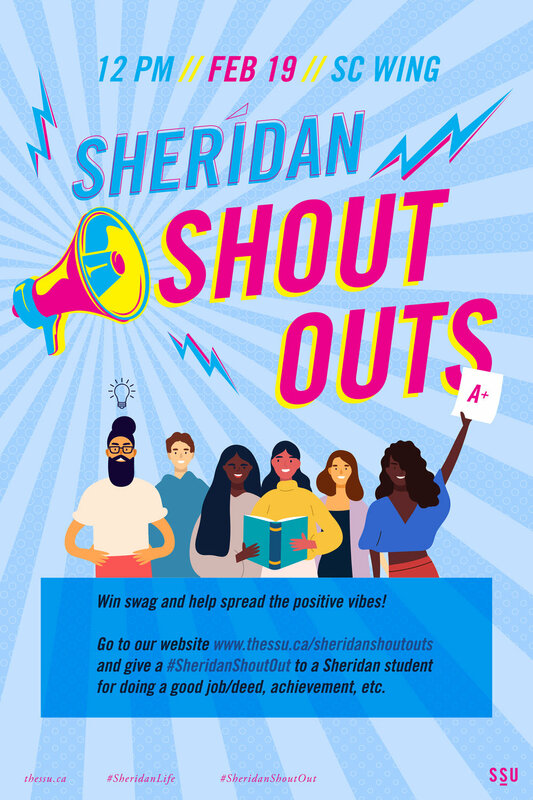 Students must should proof of Sheridan Shout Out submission. Get all the details about the movement here!